The draft strategy sets our direction for sustainably managing the waterway for the next 20 years. Comments close Sunday, 3rd February. For service to the community of Sydney's Northern Beaches. Member 1955 to late 70's. Projects such as development of the Safer Driver Course' for year 11 and 12 secondary students, working with small committee. Member, since 1966 to 2009. 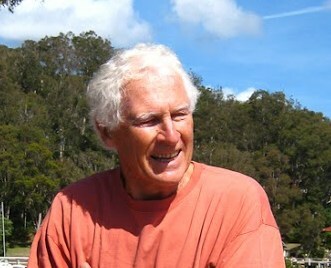 Member Representing SIRA, Pittwater User Group,a community group concerned with the best and fairest use of the waterway of Pittwater, since 2009. Pittwater Strategic Plan 2020, working with the then Pittwater Council and the community, 2010. Member, Built Environment Group, 3 years, including development Steps to a Sustainable Home' booklet. Contributor, Sustainable Ingleside Advocacy Group, since 2014. Congratulations Greg, we are all very proud of you. This award and recognition of what you have done is truly deserved! Please read Collection Guidelines before putting your material out! Asbestos is extremely hazardous to everyone’s health. This includes what is known as “fibro” which is an asbestos based product. The waste collection team will greatly appreciate your co-operation. delivering materials and equipment to site. major utility relocations in and around Ponderosa Parade, Samuel Street and Foley Street. The film, Rubber Jellyfish, is a delightful and engaging documentary which explores the adverse effect of one of our favourite party products, the helium balloon, on the environment, its potentially deadly effect on human beings, and its heartbreaking impact on sea turtles. The event will include an introductory speech and Q&A by marine animal activist, educator and plastic warrior Malin Frick of Northern Beaches Clean Up Crew. https://www.facebook.com/events/338402106990309/. From this page you can also invite your own Facebook friends to the event. Nb: If you are not familiar with Demand Films, unlike a traditional movie showing Demand Film screenings require that a minimum number of tickets be reserved within 5 days of the event in order for the screening to occur, so please encourage interested people to book early. 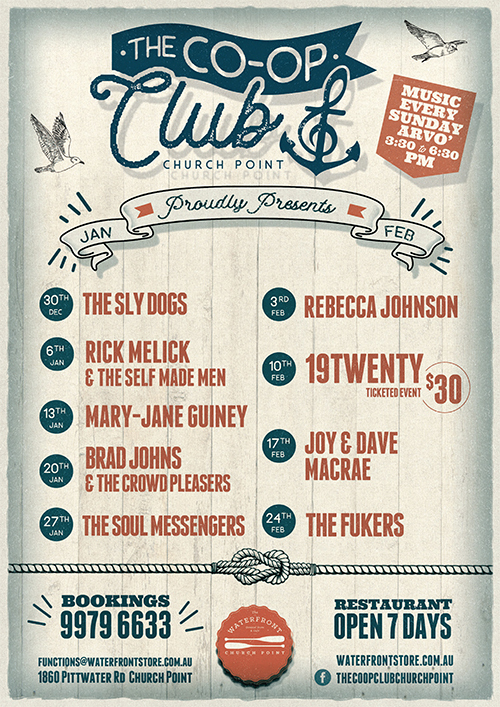 The Waterfront Café’s Co-Op Club presents the finest live music North side of the bridge from 3.30pm every Sunday. Come and immerse yourself in some wonderful music by the waters edge with great friends, your favourite beverage, some wonderful music and a huge range of delicious menu specials. I am creating a series of short videos for an American company PLANTPOP https://plantpop.com who feature short documentary style videos about the relationships between people and plants. I’m particularly looking for people who interact creatively with plants or feature plants in their artworks. The company are keen to get an international perspective and I would like to work locally with our community members so I can have the opportunity to show off our diverse skills. There would be no payment, however it would be a good opportunity to get exposure for what you do. We are a couple experienced living offshore (Lovett Bay) and dealing with boats and commuter wharf. From end-Feb to beginning Dec 2019 we'll be minding a house with deep front Jetty on Scotland Island. 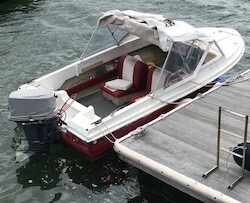 We sold our polycraft last year and were wondering if someone would be interested to rent or lease us a commuter boat (with canopy) for the period. We would service it at the end of the period (on top of the rent) and I can get a ticket for commuter wharf under my name. Since I work from home, the boat would rarely be kept at the wharf..
Open to any proposition around the concept. Three bedroom waterfront home available for immediate rent. Very sheltered northerly aspect. Flat lawn and deepwater jetty / pontoon. We recently purchased a larger boat so our 4.3M Coxcraft dearly referred to as "Gumleaf" is for sale. Fiberglass boat, hull in excellent condition. Original Engine Yamaha 40 HP 2 stroke, starts every time. Very easy. All boat covers replaced last year. So, stay dry this winter. Replaced entire steering 18 months ago. Equipped with lights, bilge bump, safety gear. Bottom is clean, but it is due for anti-foul. Have checked and local truck guys can do this. Dynamic Yoga Saturdays from 8.30am - 10.00am. 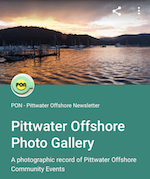 A complete set of past electronic newsletters since May 2000 can be found and read at https://ymlp.com/archive_gesgjgm.php or by clicking here or by visiting the Mona Vale Library. If you would like to contribute to this newsletter it's easy!. Send an e-mail to the editor (editor@scotlandisland.org.au) or by clicking here. Type your contribution (100 words or so would be fine) and assuming it is of general interest to the community, does not include matter of a political nature and is not offensive, it will appear next month. To get on and off this newsletter, click here or got to: http://www.scotlandisland.org.au/signup .